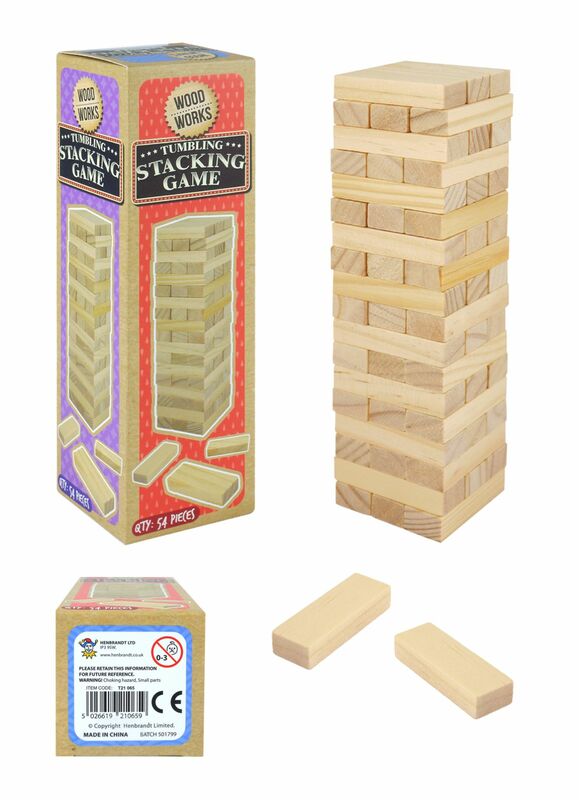 This Classic wooden building game is so easy that you can play anytime and anywhere. 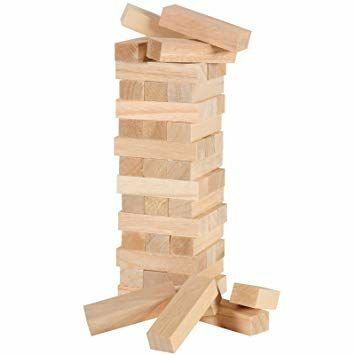 Pull the block, stack it on top, and hope the tower doesnt crash down. Includes 54 pieces and is sure to keep the family entertained for hours!